When Mrs. Kona, a 2nd grade teacher at a public school in a small district in the Midwest, began planning for her academic year, she told me she wanted to better integrate content area subjects within her ELA planning in order to meet the CCSS’s expectation about increasing instruction and reading around nonfiction texts. Using her teaching philosophy around Project Based Learning, she wanted her students to learn about the genres and types of nonfiction from creating their own nonfiction picturebooks. 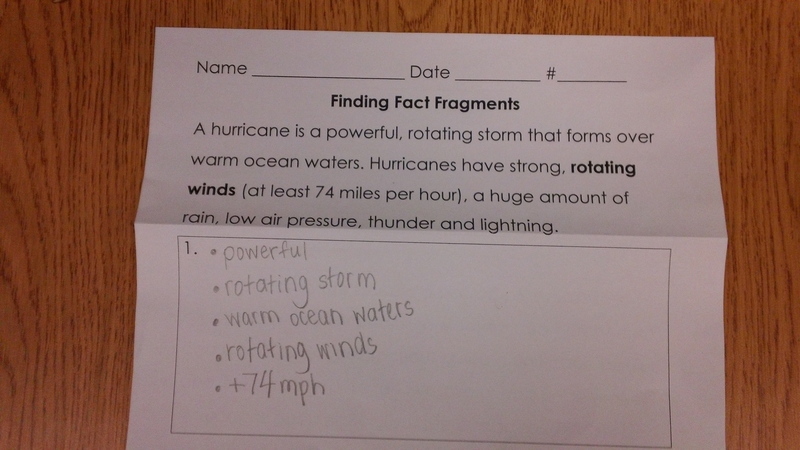 Thus, over the course of 4-months, students selected a nonfiction topic on weather, to comply with the district’s science standards, and created their own nonfiction picturebooks on their chosen subtopic. At the end of the study, I asked Sally about her final picturebook product. “It’s awesome,” she said, and proceeded to tell me her book belonged in the school library because, “It is a true book. Nothing is made up. I wrote it.” When I asked her about the writing process, she stressed the words in the book were her own. Sally explained she crafted questions to drive her research and focus, read books providing relevant information, took notes to paraphrase her findings later, and finally, discussed how she transferred notes into modalities like graphs and other visual images. These students were not only tasked with writing a nonfiction picturebook but also to go through the same process nonfiction authors do when writing a book: brainstorming, creating research questions, finding information from trusted nonfiction sources, taking notes, and turning those notes into data their friends in 2nd grade could easily access and read. Thinking about one part of the process—note-taking, I realized the teacher’s lessons were less about instructing students on note-taking skills and plagiarism, and instead focused on helping students think meaningfully. Students made connections, learned how to write, and showed understanding. They were identifying as authors since they, too, were able to showcase their skills through writing. Ultimately, the process was agentive because their final copies were entirely their own. Mrs. Kona’s lesson on note-taking stemmed from seeing her students copy verbatim any relevant information from their source picturebook. She wanted to teach them how to collect information without copying. From the beginning, she told her students to be like nonfiction authors, they had to research and take notes to ensure the information they wrote was not only in their words but also factual. She stressed this was important because readers of their books needed to be able to trust the content and writing, knowing it was accurately represented and and what readers were learning was grounded in truth. As a result of this lesson we noticed a subtle shift from the students gathering information to being authors embarking on publishing a picturebook. The following instructional strategies on note-taking were the start of students identifying as authors. 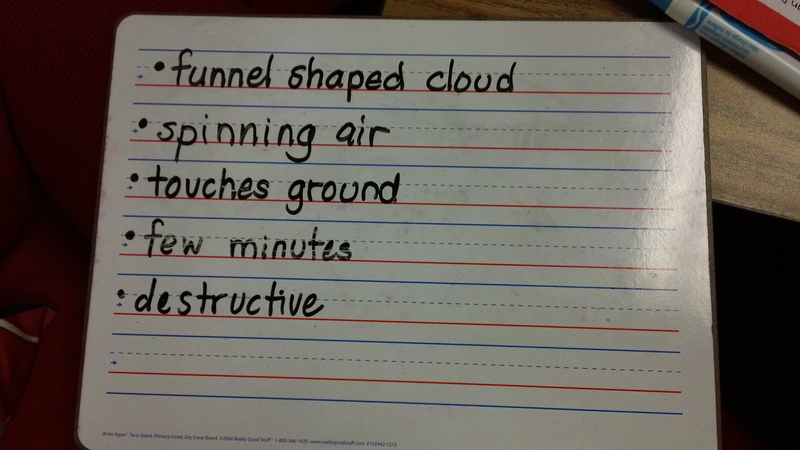 Mrs. Kona modeled every stage of this process, demonstrating how she started with words, then phrases, and finally, turning them into her own sentences. Context—In this classroom, students knew authors took notes and put those notes into their own words, and since they, themselves, were authors, they saw note-taking as an identity-making type of activity. Practice—There are many ways to teach note-taking for elementary students, but providing the time for students to see it done and then practice on their own is invaluable. Purpose—Establish a real-life purpose for taking notes instead of a stand-alone activity. Mrs. Kona used note-taking authentically by asking them to utilize the notes in the authoring process. Note-taking was empowering since they were using authorial behaviors to conveying information in an easily accessible manner in their final product. When Sally proudly shared her self-published book with her parents, she acknowledged that, by creating her own notes and using them in her book, she was entirely in charge of the process. She was not simply regurgitating information or copying, as Mrs. Kona gave the students tools to be in charge of their own learning. The students were complex thinkers: synthesizing, correlating, and restructuring information, and Mrs. Kona embolden them to claim and recognize their identities as nonfiction picturebook authors.